The Leadership Institute provides development programs for corporate executives, business owners, BB&T clients and educational leaders. 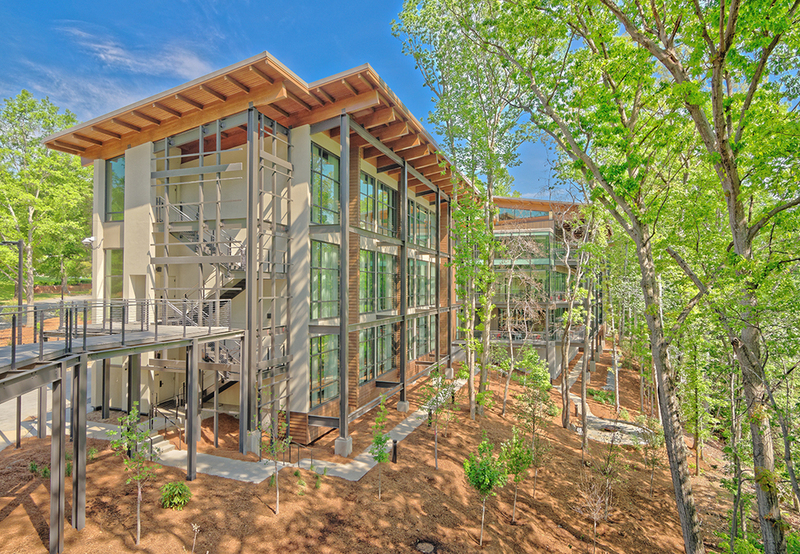 The 3 floor, 58,000-square-foot facility sits on 11 acres adjacent to BB&T’s Triad Corporate Center in Greensboro, NC. 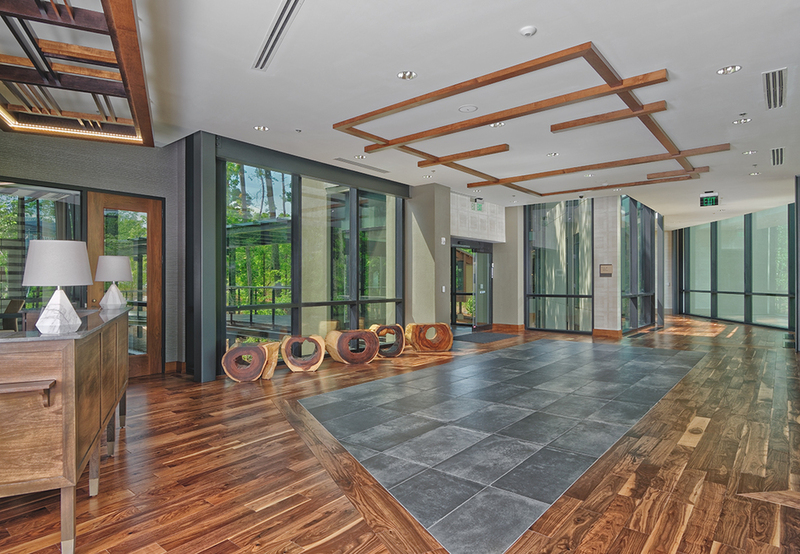 The project features rustic lodge ambiance nestled in a wooded environment with great care taken to minimize the disruption of the natural setting. The building is separated into 3 distinct parts: a corporate training and conference center, and two, 3-story hotel wings for overnight accommodations. 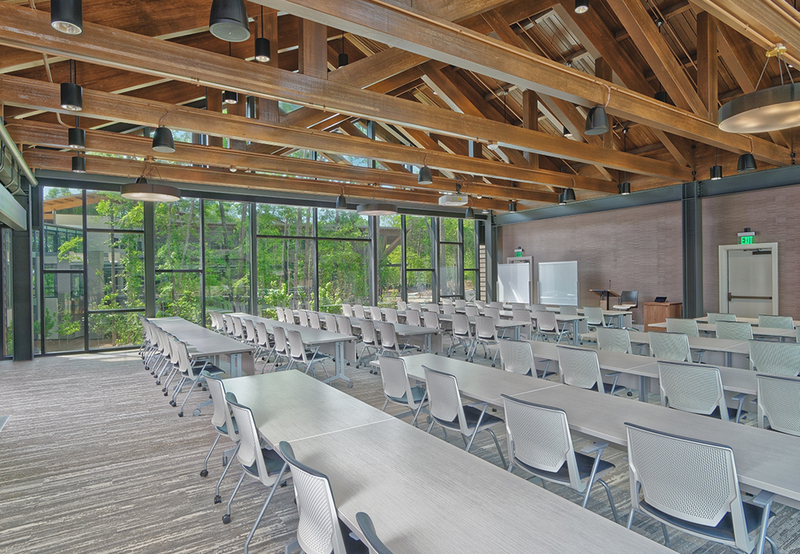 Blum worked tirelessly with the design team to achieve BB&T’s desired budget and schedule, which will allow the facility to open for business in the spring of 2018. The project team utilized a “fast track” design and construction delivery to achieve these goals. 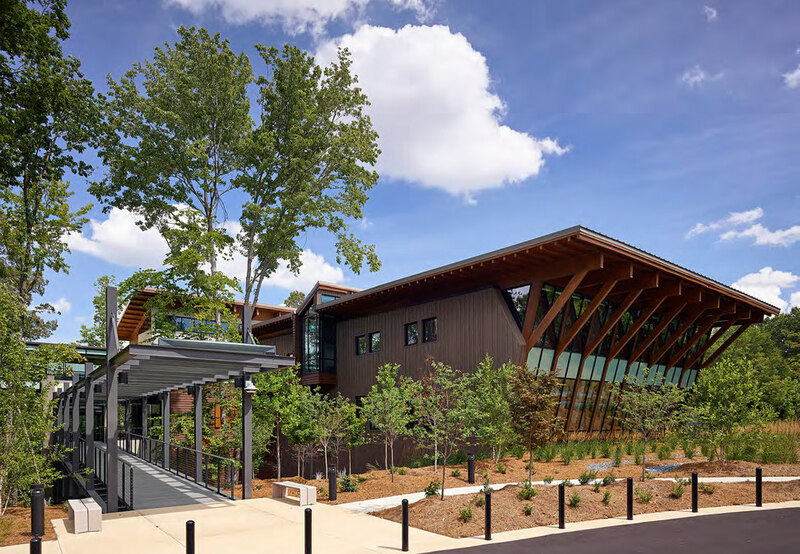 The Leadership Institute was awarded the Top Overall Design in Business North Carolina's annual Building NC awards as well as the New Development Project of the Year award at the 2019 NAIOP NC Statewide Conference. 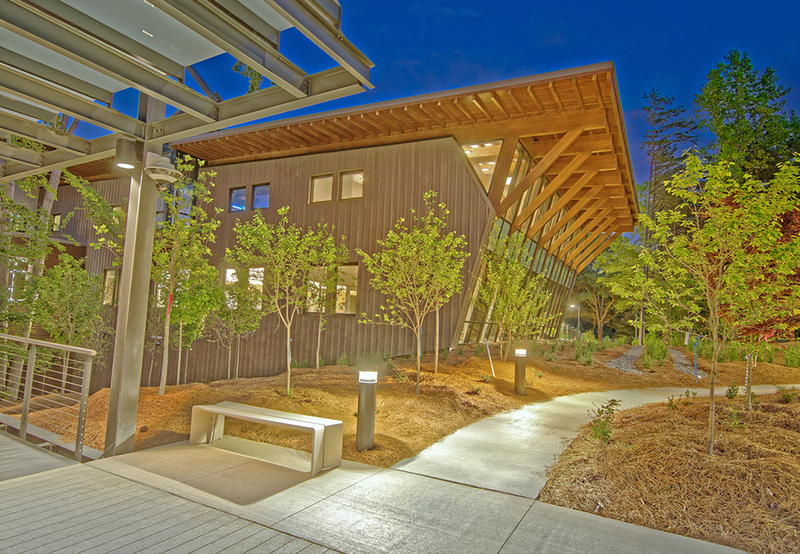 According to the NAIOP website, CJMW's study of the terrain and natural features helped integrate the building into the site with a soft footprint. The full program was broken into smaller building elements that are linked together to create a sort of “village,” lending to the nickname “a village in the woods.” Each element has views of the lake and woods and glass walls that bring the outside in, allowing guests and staff to connect with nature, eliminating the distractions of the outside world while promoting a more inward focus. As an executive leadership program, the Leadership Institute helps grow managers into current and future leaders. Leaders from numerous local and regional companies have attended the Leadership Institute’s programs – gaining insight and training that then help them grow their own companies.